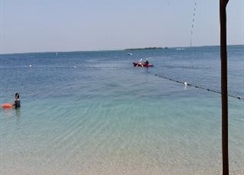 Flamingo Beach Hotel in Umm Al Quwain is an all-inclusive three-star property for travellers looking for enthralling water sports activities.Are you in a mood for some water sports? If you’re one of those who don’t mind basking on the sun the whole day and engage in activities such as fishing, crab hunting and snorkelling, then perhaps you must check out Flamingo Beach Hotel. Besides all the fun activities it offers, this is an all-inclusive hotel that caters to families, couples and young adults looking for three-star facilities such as spacious rooms, buffet restaurant, swimming pool and proximity to beach. 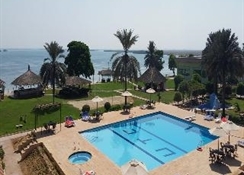 Flamingo Beach Resort offers 52 rooms and suites: Standard Room Pool & Garden View features 2 double beds for a pack of four, and One Bedroom Suite Pool & Garden View is equipped with a separate living room and bed room suitable for large groups of friends or large families. 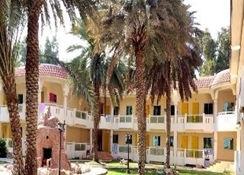 The rooms offer gardens, beach and pools views, perfect for a splendid holiday. 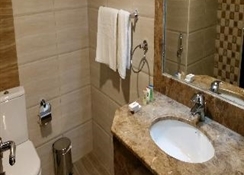 En suite bathroom, shower, wardrobe, TV with satellite connection, ergonomic station and 24/7 room service are common for both the types of rooms. Accommodations are lavishly spacious and designed with a modern touch. The Dhow Buffet serves multi-cuisine buffet at breakfast, lunch and dinner — abundance of seafood and chicken are served. Items are freshly prepared by the chefs using the finest local ingredients and cooked in contemporary-progressive style. Flamingo Café serves all regular food items that are blended in local style — this is where wine and other alcoholic drinks are served. The Beach Café is an all-day café that serves light snacks, cocktails, mocktails, fruit juice and other cold beverages. 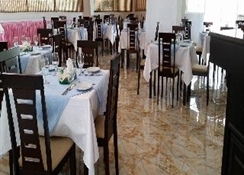 Flamingo Beach Hotel is located right on the beach, in Umm Al Quwain. This hotel is surrounded by a large tropical garden and built facing the sea — the rooms offer an incredible view of the surrounding — Mangrove islands can be seen from the hotel. The Umm Al Quwain Museum is hardly 10 minutes on foot; Dubai International Airport is 64 km and Sharjah International Airport is 50 km from the hotel. Umm Al Quwain lagoon home for many exotic bird species and a destination for enthralling water sports. But if you’re not a sea person, explore the neighbourhood — the old town is just a few minutes-walk away and you might run into some surprising shops and eating joints. 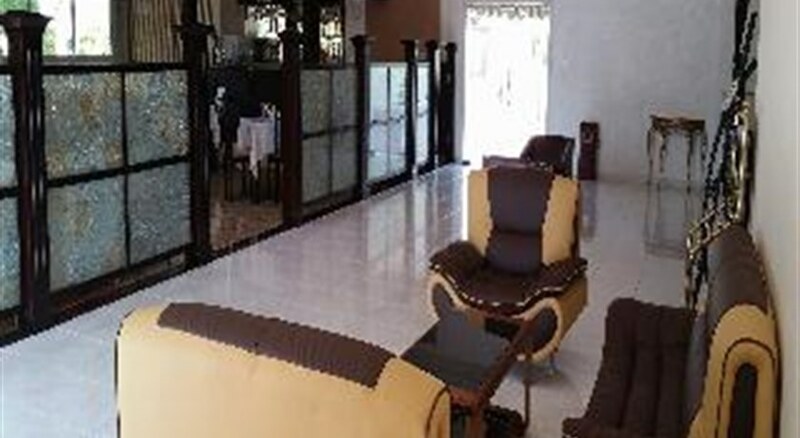 This hotel is all about relaxation and rejuvenating. It has a pool for adults with sunbeds, parasols and recliners — drinks are offered around the poolside. 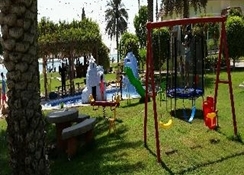 And for the little guests, there is a paddle pool with waterfall other exciting fun facilities around the pool. There is a playground where both kids and adults can play football, volleyball and other outdoor games. But if you’re in a mood for some water sports, the beach has it all. Go fishing, crab hunting, snorkelling, deep sea diving or water motor rides, these are definitely going to keep your breathless. And don’t forget to check out the Ayurveda Spa in the backyard, the massages sure do wonders.